Tips for hostas care, transplanting hostas, hosta varieties and more. One of the most popular shade-loving perennials, hostas are super easy to grow. Includes tips on how to keep deer from eating hostas. ‘Royal Standard’ | Classic hosta, solid green leaves, wide-growing. If your gardening goal is to have as little maintenance as possible, hosta plants (sometimes referred to as a plantain lilies) are the answer. As a DIY, self-taught gardener, I can honestly say that maintaining hosta plants is the easiest thing I’ve ever done outside. Here are a few facts that, if you need a little convincing, will do the trick. Hostas are available in a wide range of sizes. These shade-loving perennials come in a variety of leaf shapes. Because there is such a huge number of hosta varieties, they are available in an amazing array of colors, both variegated and solid. There are more than 2500 cultivars to choose from. Hosta ‘Vulcan’ | Variegated with large, curly leaves. When it comes to shade-loving perennials, nothing could be easier to grow than hostas. Hostas are hardy and are considered perennials in US zones 3 thru 9. If planting in zones 8 & 9, they will definitely need shade and a bit of extra water. When planting, leave enough room for the width of the mature plant…and they do get big. Some giant hostas can grow to be 5 feet wide. Amending the soil is important for growing hostas as well as for good drainage. Before planting, add compost or manure to your soil. They like an acidic pH but are known to thrive in any kind of soil. Slugs love to munch on hosta leaves. It is so frustrating to have holes chewed in your beautiful hosta plants. Sprinkling sand or lime in a circle around a plant will help keep the slugs away. 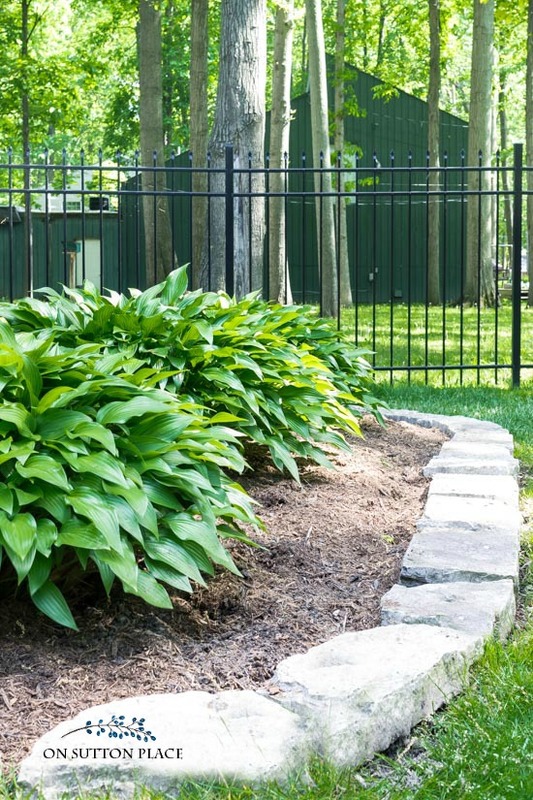 Hostas die down in the fall and go dormant in the winter months. This dormant period during cold weather serves two purposes. It allows the plants to re-charge for the next growing season, plus it makes for easy clean-up of garden beds. Just rake away the dried leaves but make sure to dispose of them properly. Do not add them to a compost pile. If planted in pots or planters, hostas grow and thrive beautifully, but it’s best to put them in the ground for the winter months. Hosta ‘Lancifolia’ | Solid green with slender, shiny leaves. The best time of year to plant hostas is during the early spring weeks when the ground is soft and can be easily amended. They can also be planted in the early fall, but make sure you have at least 4 to 6 weeks before a hard frost so the roots can settle in. Hostas live for many years. If they get too big, they can be divided in the spring just after their green shoots pop through the soil. Transplanting hostas is easy. Just dig up the entire plant and carefully split with a shovel. Dividing and transplanting hostas is also a great way to grow your garden with free plants. *Some links lead to websites where I am an affiliate. See my disclosure statement HERE. Fishing line at about deer eye/neck level. This a bit hard to gauge but with a little patience and a few tries, it does work. Liquid Fence Spray: It has to be sprayed at least twice a week and after it rains. Probably a little hard to keep up with. Also available: Liquid Fence Granules. A product called Messina’s Deer Stopper. Works well if applied regularly. Milorganite Fertilizer. You can read more about it HERE. From a reader: Use Dawn dish detergent mixed with water in a spray bottle. Squirt the plants once per week and after it rains. The color of the foliage on all the hosta varieties will tell you how much sun each hosta plant can withstand. Plants with variegated leaves that have white or light green coloring can take much more sun than plants with darker green, solid leaves. Hostas pair nicely with other shade-loving perennials like bleeding hearts, ferns, daylilies or impatiens. Mix and match different hosta varieties for your own signature garden design. One of my favorite things to do with hosta leaves is to use them in garden flower arrangements. The leaves literally last for days, they add interest and amazing color. The hostas care infographic above, plus a printable ebook of this post, are available in the OSP Member’s Only Library. Current members can access both PDF files at any time by clicking HERE. If you aren’t a member and would like to join us, just fill out the form below. The infographic will be delivered straight to your email inbox! 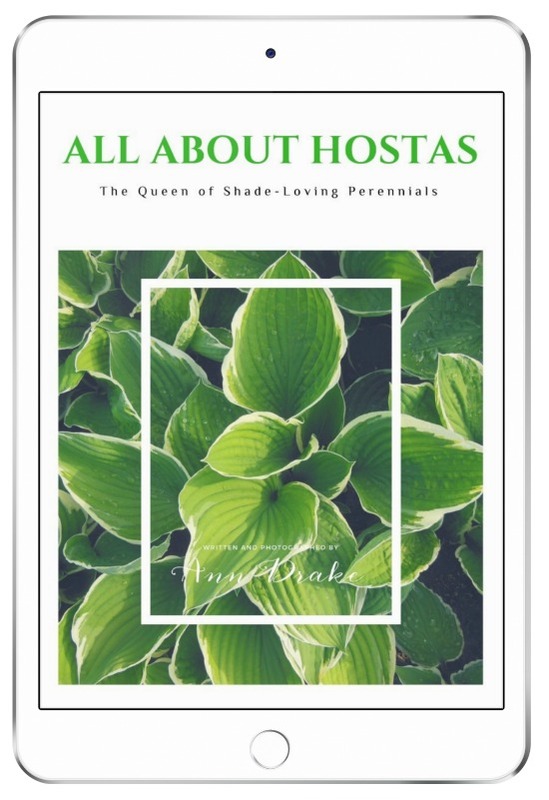 Once you’re in, you will get instant access to the entire library where you can download the All About Hostas ebook plus DIY wall art, gift tags, cookbooks, and more informational ebooks. So…have I convinced you to plant some hostas? I hope so because, with just a little bit of effort, hosta plants will bring you many years of beauty and joy. Here’s to many fulfilling hours in the garden! Love the Hosta post. I just planted 6 new varieties with ferns and astilbe. Need to transplant some and now I know spring is when to do it. Hi Linda…I honestly don’t know why that happens but I have experienced the same thing. I had a beautiful row of hostas along the side of my house and they are almost all gone. I think it must just be poor growing conditions. Too much or too little water, high heat, too much sun. When that happens to me, I just start over. I love Hostas, but it’s not the deer so much as slugs eat those faster than anything. Any suggestions for slugs? I don’t get slugs every year but when I do, I sprinkle lime around. It seems to get rid of them but it might take a couple of applications. Thank you so much for your reply. I never thought of that, I will try it! Love hostas! I have a couple in pot ‘s and they are doing great. The only way you can keep the deer away is to put up a fence. There are some nice decorative ones I’ve seen in our neighborhood. I love hostas, but unfortunately so do the deer that visit my yard. After many years of having hostas, last year the deer finally discovered them. It seems that with less and less land for them to graze on, they are coming into our neighborhood. I have tried everything, from spraying vinegar to soap shavings, and even bursts of water, but to no avail they still nibble away. If you have any other suggestions, they would be appreciated. Your hostas are gorgeous. Thanks for the lovely post! Thank you for all the info on Hostas. I have them In my yard also and I am always amazed at how fast they grow when they start renewing in the spring. Mine need to be divided so badly but I’m afraid I’ve waited too long now. One thing I learned on here is that you can grow them in pots. I didn’t know that. Since they are shade loving plants can they be grown in pots indoors? I also would have never thought about cutting a few leaves to add to small flower arrangements. What a novel idea. Love your blog! Hostas . . .AKA Deer Candy!! any suggestions oh how to keep them safe from the 4 legged leaf eating machines? I am not an expert on deer…but I’m going to ask in my gardening group and see if anyone else has some advice. I’ll report back! Yes you have! Thank you for the thoroughness of this how-to! 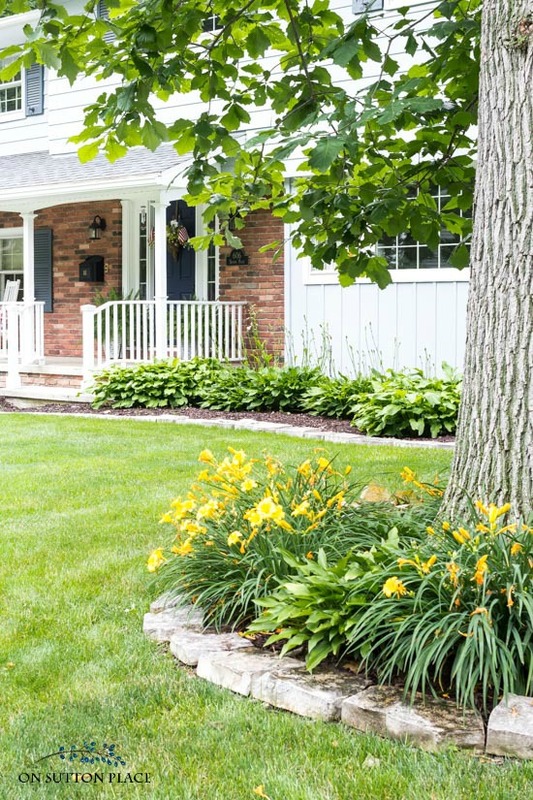 Ann, this is great advice on Hostas, my favorite use of foliage under my trees. I mostly use pots, so have different varieties grouped together. My collection is small, but increases each year, and is an interesting little hobby. Thanks for this information. Your posts are always so interesting. You are right Ann, hostas are a wonderful plant because of being an easy-care plant. I started out with a few and now I have many and my son who is a landscaper sometimes brings me ones that he dug up when his customers want new landscaping. My only problem is the deer. Because we have a wooded area on our property and are more countryish we get many deer wandering around eating anything that they can, especially my hostas. My grandkids love when they are around at dinnertime and they can see the deer right outside our kitchen bow window, but Nana wishes they would just leave my plants alone. Sigh . . . This is a great article with loads of information for a lover of hostas like me. One quick question – why do we not add hosta leaves to the compost pile? I love HOSTAS too. However I was too sick with cancer a few years ago and was not able to water them during a blazing hot and drie summer and I lost all of them. I think I am finally strong enough for some gardening this summer. I am looking forward to planting HOSTAS once again. Thanks for the info. I have hostas in my garden and wanted to thank you for all of the wonderful information. This is going directly into my gardening binder!! Thank you again. Paul’s Glory is a favorite, though I’ve never met a hosta I didn’t like. Why do you say to not add the leaf litter from the hosta bed to the compost pile? I put almost everything there, except weeds, which also go to a separate pile. I’m not an expert on compost piles, but I was told that the hosta leaves take a long time to die and break down. They could actually survive in a compost pile which is not what you want. I hope this helps! I love Hosta..I have lots and have shared with friends…. 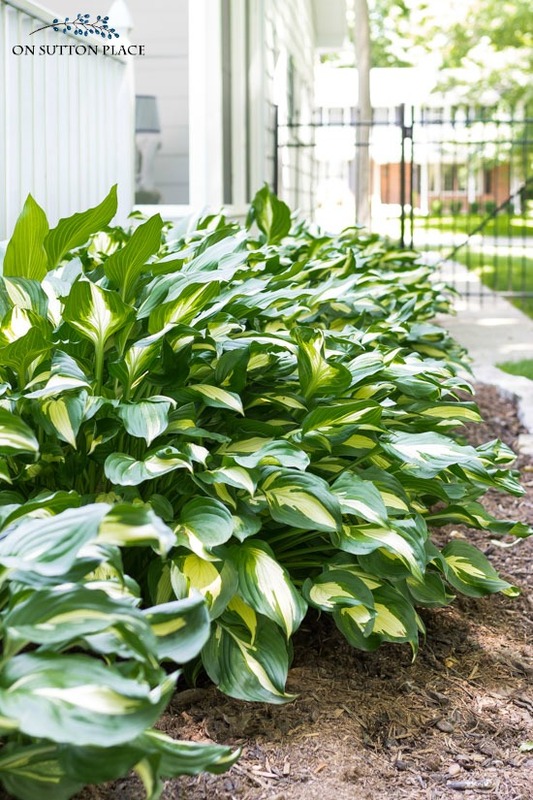 Glad you did this piece on hostas, as they are fabulous and fabulously easy! What you need to inform your “readers” about, however, is the critter that thinks hostas are their candies……the good old whitetail deer! 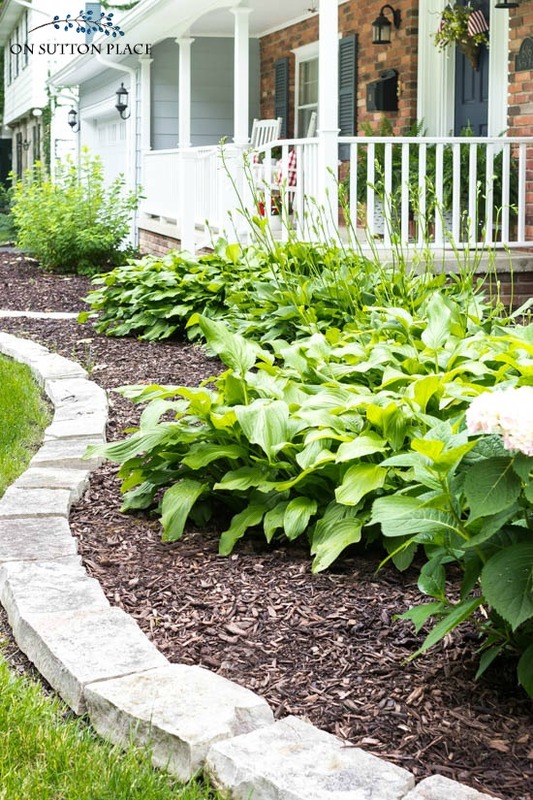 They will decimate plantings of hostas unless you are vigilant about applying some sort of deer deterrent and applying it religiously. Nothing like hostas for dessert! When it comes to deer, I have no experience so I was hesitant to include anything. Thank you for your comment..we all appreciate the advice! I have just planted about 17 hostas around my house and down the road across from all my neighbors back yards.. It is open woods and i thought it would be nice to add some color.. I have Rose of Sharon that i did the same thing with about 2 years ago.. They are finally getting some width and height. Another year or two and everything should be gorgeous.. Thanks for the info, i will be buying more in the fall or next spring. Your the best. We were just talking about our garden and wanting to add some Hostas in the shady area. This is awesome. First…we need to dig out of 14” of snow that fell on us in Minnesota yesterday. It is still snowing and more coming today. Thanks for letting me dream a bit. I love Hostas . I have 3 varieties now, one from my mother’s home, one from a plant swap, and one that I actually bought at a nursery. I am hoping to get some divisions from my MIL to add to my collection. We live the White Mountains of NH and the front of our house faces North, so we have shade loving plants there. Rhododendrons grow nice with hostas as well. Another old way to deal with slugs, is to fill a shallow bowl with beer, I show that to my husband and he was amazed that we had 10 slugs the night. Diatomaceous earth will also help. I love hostas and had them in all my homes but unfortunately the deer love them also.Living in Florida now, we do have a deer issue, it’s hard to have flowers or anything decorative in your landscaping. Hostas add such beauty to a shade garden. Ann, your home and yard is beautiful! We are getting ready to plant more hostas. The deer love the ones in the front yard so we are trying them in the back. Well, good luck to me as they probably will mow those down as well. 😘 Thanks for all this hosta info! I live in lower Michigan and have very good luck with hostas but occasionally I will have some that don’t show up the next year. They look great going into the fall but don’t show up come spring. Some are several years old. I have one that is at least 15 years old and has received minimum care that just thrives. Any thoughts? Hi Marie…the only thing I can think of is that for some reason, the leaves weren’t able to recharge for the next year’s growth. I’ve had it happen before as well with mature plants. I wish I could be more help! Your hostas are absolutely gorgeous!! Thanks so much for all the great information! Any chance you could do a post about daylilies in the future as well? Hi Hali…I will do a post when my daylilies are up and blooming. I don’t have too many plants but I can share what I know! Thanks so much. This is so right about hostas. I think they are one of the prettiest plants to grow and they show great. Pretty forgiving as long as soil is good and shaded. They are pretty with pink impatient s mixed in.